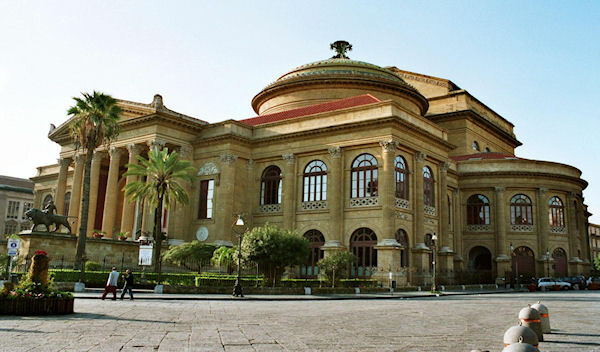 The walking tour of the city starts from the port of Messina, where your guide will welcome you to Sicily. Walking along Via Emerico Amari, you’ll enter in Ruggero Settimo Street, the "living room" of the city, until Piazza Verdi. Here you’ll admire the majestic Massimo Theatre, which is the staircase leading to the entrance of the famous murder of the daughter of Michael Corleone in The Godfather Part III. Walking along the ancient fortifications you will take a picture of St. John of the Hermits, a beautiful Arab-Norman building, with its particular domes. Discovering medieval quarters, Spanish facades and courtyards of the historic mansions a surprise visit will introduce you to the Hebrew Palermo. Finally here you are at the Four Corners for a new cultural experience; visit St. Joseph of the Theatines, potent antagonists of the Jesuits. Returning via taxi at the end of your tour. NOTE: Minimum of 3 passengers required to book this excursion.